The word Basmati stands for fragrance. In the beginning, the cultivation of Basmati Rice was popular in regions of Pakistan and India. With the gradual increase in Basmati Rice Exporters In India, Basmati Rice gained prominence in diverse parts of the world. Basmati Rice has a distinct aroma, and it is grown in white (processed) as well as brown (unprocessed) forms. Atmiya International is a name to trust when it comes to getting the best Golden Sella Basmati Rice. 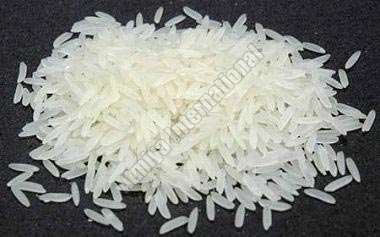 The Indian Sella Basmati Rice offered by us is the best not just in terms of quality but price too. With a firm commitment to excellence, we have become one of the reliable Long Grain Basmati Rice Suppliers in Gujarat.